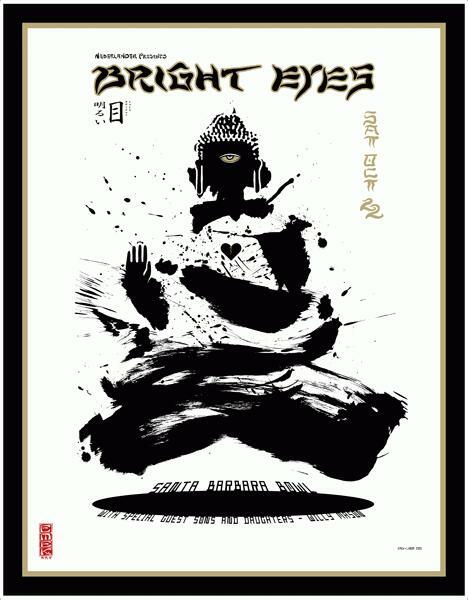 Original silkscreen concert poster for Bright Eyes in Santa Barbara. 22x38 inches. Signed & numbered out of 300 by the artist EMEK. Three color screenprint collaboration between EMEK and his mother, who is a Zen Calligrapher.